What it means: Low scores were scare on Moving Day, but Chappell managed to grab his first outright 54-hole lead with a 1-under 71. 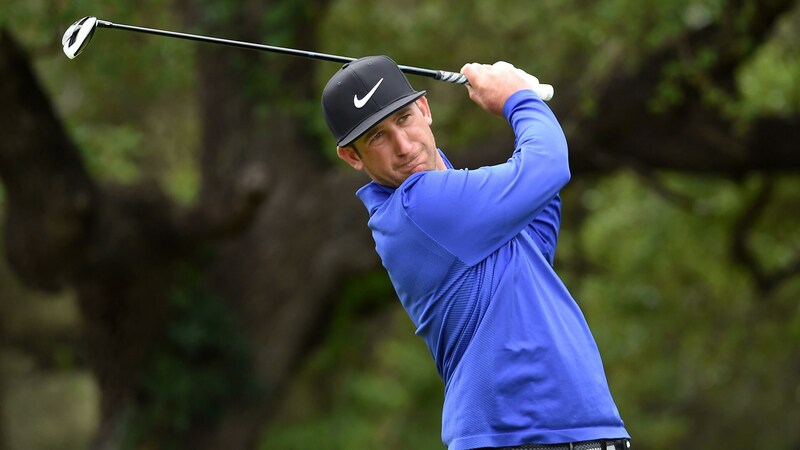 After a rollercoaster front nine that included three birdies, three bogeys and a double, Chappell steadied himself on the inward nine with three birdies. Chappell is still in search of his first win. He has recorded six runner-up finishes in his career, and he is coming off a T-7 at the Masters. Round of the day: Ryan Palmer fired the low round of the day, a 4-under 68. With conditions so tough, it’s no surprise a Texan recorded the lowest score. Palmer made three birdies on the front nine, and then he rebounded from his lone bogey on 13 with birdies on 17 and 18. It was the most difficult non-major round on PGA Tour this season. Only the opening two rounds of the Masters were tougher. Best of the rest: Camilo Villegas shot a 3-under 69 to move to T-12, and he joined Palmer as the only two players to break 70 in Round 3. Biggest disappointment: Bud Cauley and Tony Finau were in the final group, and they never got anything going. They both finished with 2-over 74s, but the good news is they are only two strokes off the lead heading into the final round. Main storyline heading into Sunday: Chappell will no doubt be the main story as he tries to win his first PGA Tour title. But Grace and Huh will both be looking to win their second PGA Tour trophies. The good news for Chappell is four of the last six winners at TPC San Antonio led or co-led after 54 holes. The bad news is none of the previous five players to lead by one stroke after 54 holes went on to win the tournament. Shot of the day: Unfortunately there weren’t any cameras on Dominic Bozzelli when he stepped to the tee at the 318-yard, par-4 17th. His drive landed 1 inch from the hole, and he nearly joined Andrew Magee as the only players to make an ace on a par 4 in PGA Tour history.